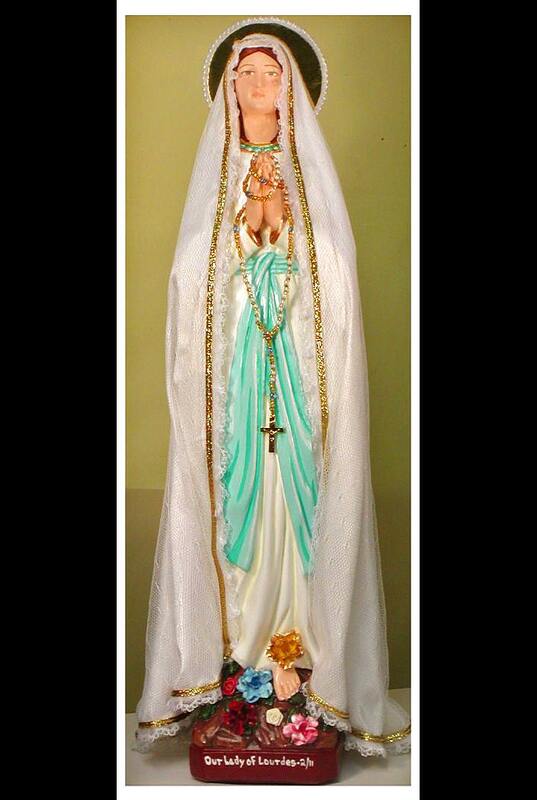 This statue features a divinely inspired hand painted face and details such as fingernails and eyelashes, full length (head to foot) Lace over satin mantle, hand-made tiny rosary in hands and jeweled cloth flowers. Your statue could be made with or without a halo. All our statues are handmade in the USA and made to order. Please allow 5-9 weeks for us to make and ship your beautiful statue. We will also touch a first class relic of St. Bernadette to your statue.